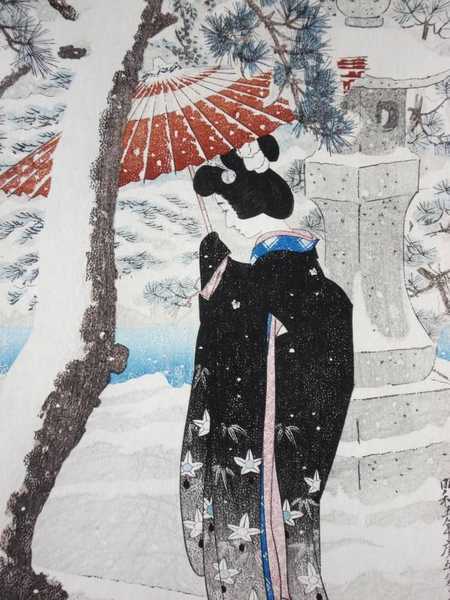 [Go Back] [New Search] Details for Shinsui Ito (1898-1972) "Shrine in Snow"
Guaranteed original 1930 Japanese woodblock print by famed artist Ito, Shinsui (1898-1972). 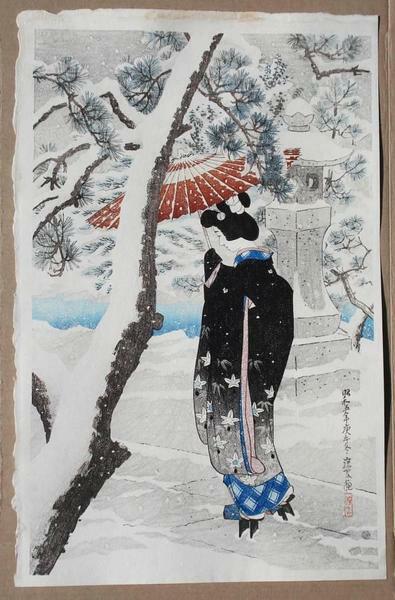 Titled: "Shrine in Snow" published by The S. Watanabe Color Print Co. (circular seal)and numbered in red in Japanese on the back although I can not read Japanese (see photo). Oban size: 11" x 17" overall sheet size. 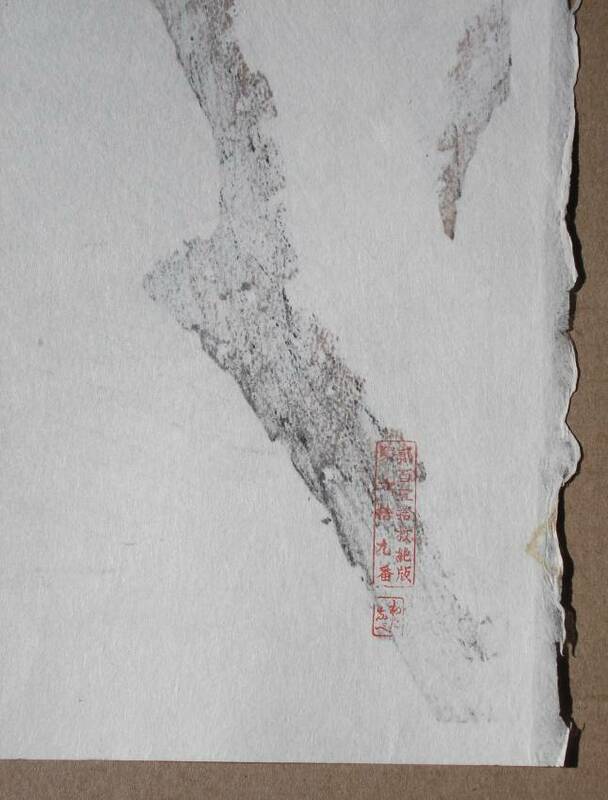 Handmade paper in excellent condition although there is toned tape residue on the top margin and several small margin edge browning that will mat out. 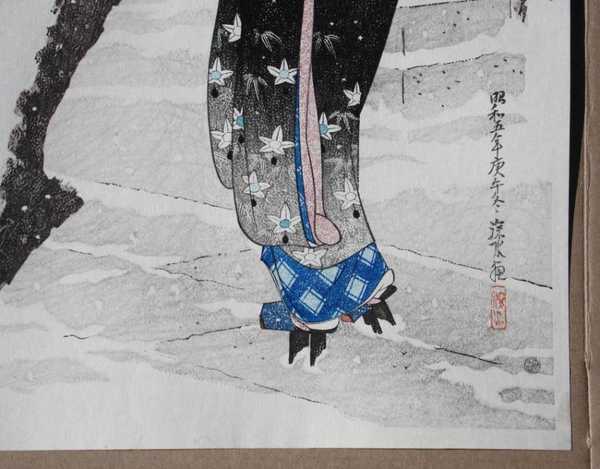 I believe the print has lost color value compared to the one I saw on one of the web sites. Nonetheless the colors are mellow and quite beautiful.